I haven’t closely followed the burgeoning scandal at the Texas Health and Human Services Commission, which involves no-bid contracts, up front tuition reimbursements for top level staffers, and rampant cronyism. It’s already cost three people their jobs and will likely eventually result in the HHSC Commissioner, Kyle Janek, either falling on his sword or getting defenestrated. If nothing else, it’s been a nice little stink bomb for Greg Abbott and a timely reminder as Rick Perry exits the main stage that there’s a damn good reason why everyone should be glad to see him go. 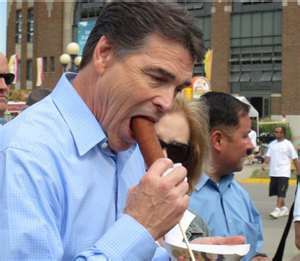 And since this is a scandal that happened on Rick Perry’s watch, there is as always more to it than meets the eye. A year and a half before a no-bid state contract collapsed in scandal last month, a criminal investigation into tens of millions of dollars worth of deals awarded through the same process by Rick Perry’s administration was derailed by the funding veto that got the governor indicted, according to the prosecutor who led the probe. The earlier inquiry, which concerned Texas Department of Public Safety contracts for Perry’s highly touted and controversial border-security program, lasted more than a year before abruptly shuttering, said Gregg Cox, director of the Public Integrity Unit at the Travis County District Attorney’s office. The news also raises questions about whether a continuation of the inquiry could have alerted officials much earlier to vulnerabilities in the so-called “Cooperative Contracts” process. The process, which allows state agencies to bypass competitive-bidding, but was designed for smaller purchases, was used for both the Department of Public Safety contract and the scandal-ridden Medicaid fraud detection deal given by the Texas Health and Human Services Commission to Austin technology company 21CT. That contract, which eventually was set to cost $110 million before abruptly being canceled last month, already has led to the resignations of four high-ranking state health officials, led some lawmakers to call for Executive Commissioner Kyle Janek to step down and triggered investigations by Cox’s Public Integrity Unit, Gov.-elect Greg Abbott and the State Auditor’s Office. Officials said the earlier Public Integrity Unit investigation focused on more than $20 million in no-bid contracts given to Virginia defense contractor Abrams Learning and Information Systems, Inc., to help Texas develop its border security strategies. An internal memo that later surfaced in news reports showed that the declaration of an emergency was based on public statements by Perry, who at the time was in a tough re-election campaign in which border security was a big issue. Three months after its first contract, Abrams received a second emergency deal, for $679,600, that greatly expanded the company’s responsibilities. Over time, state records show, officials quietly added more and more responsibilities to the contracts until they grew to more than $20 million and covered work in most segments of the state’s growing border-security programs. See, that’s the sort of thing that happens when the one law enforcement authority over state government gets declawed. At the time that the threat and the veto were happening, the conspiracy theory was that Perry wanted to cut any investigations into the scandal-plagued Cancer Prevention and Research Institute of Texas (CPRIT). I don’t think there was any specific intent like that – though if some evidence turned up to suggest there was, I would hardly be shocked – I think Perry just didn’t care about any collateral effects of his actions. He had his own objective, and that was all that mattered. And stuff like this is the result. Thanks for interminable years of service, Rick.